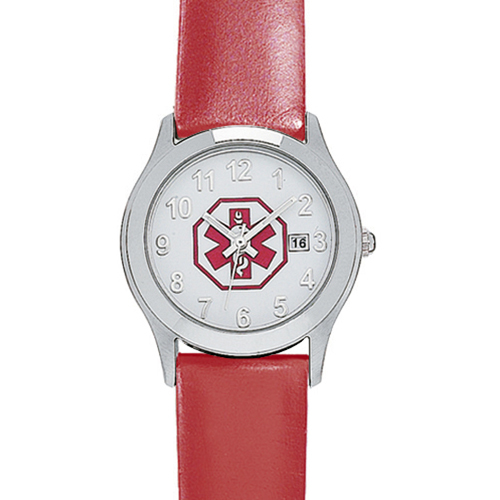 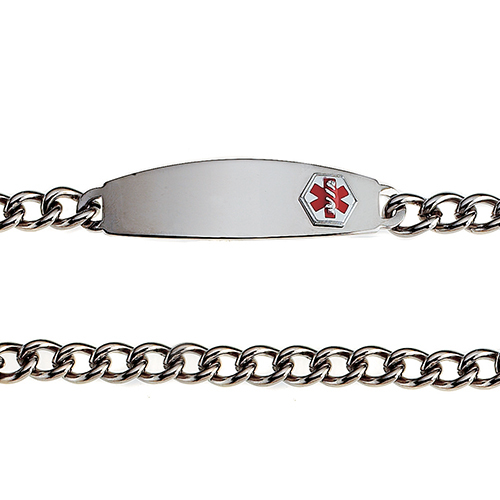 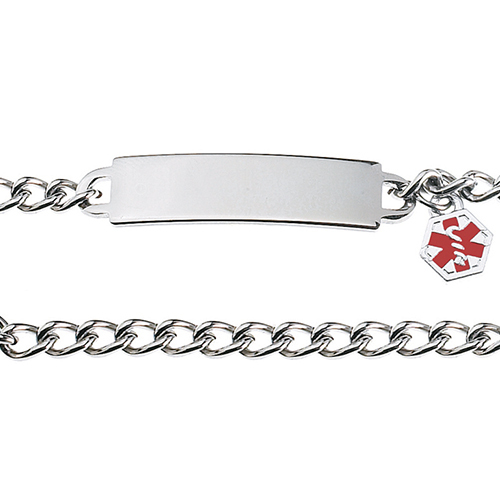 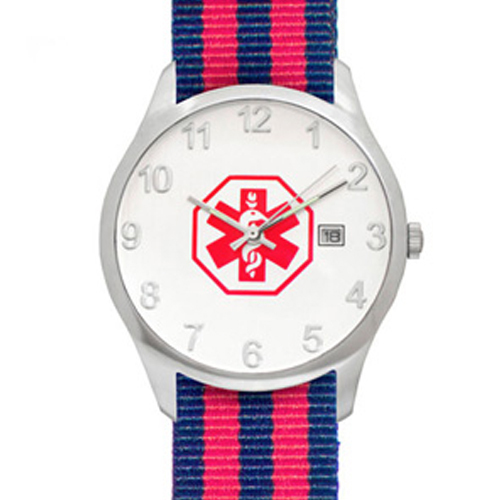 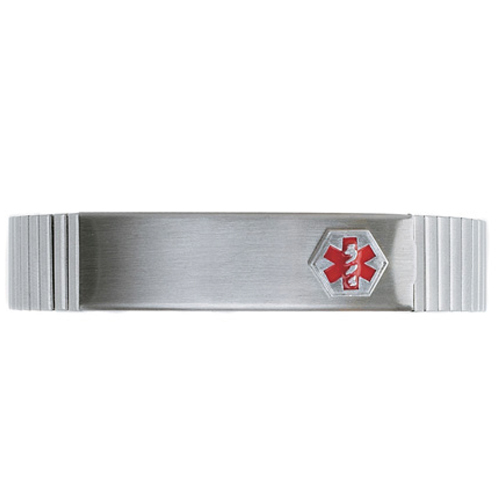 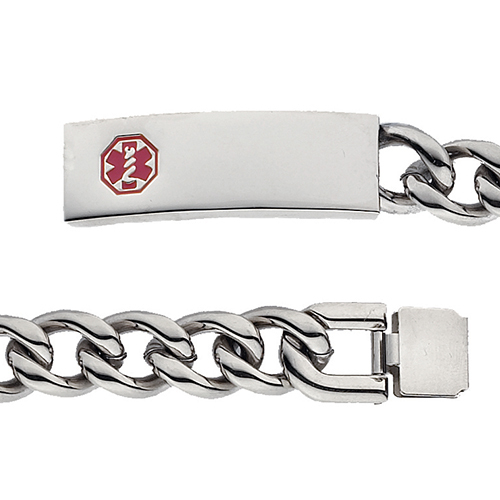 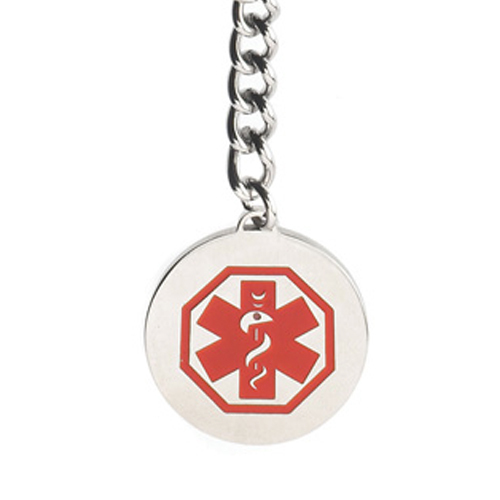 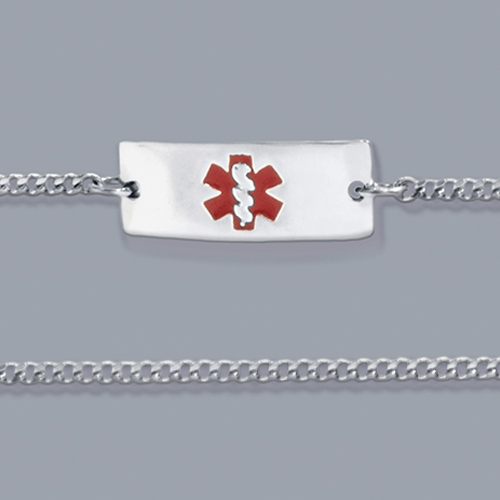 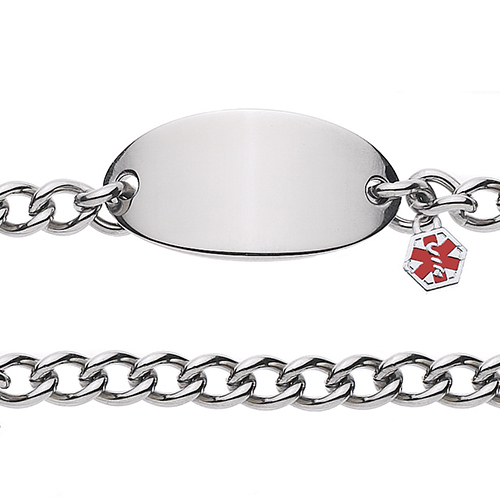 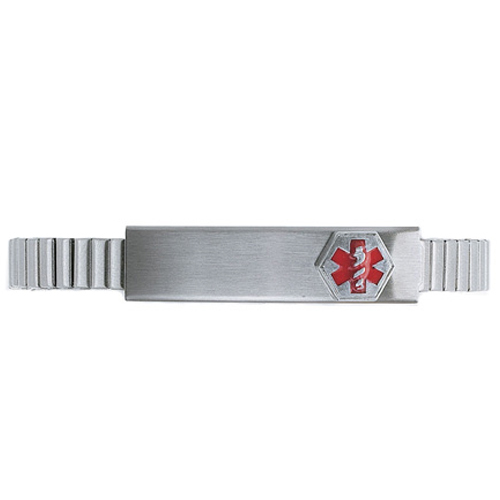 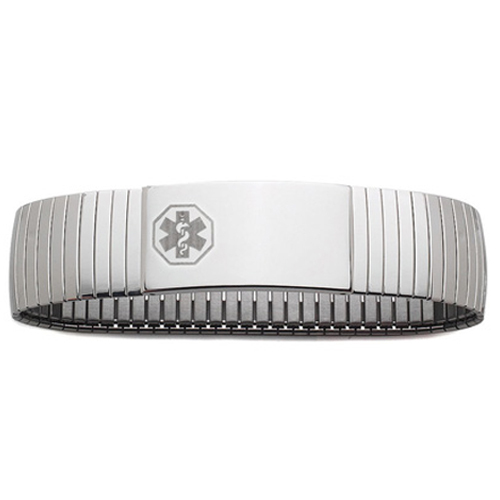 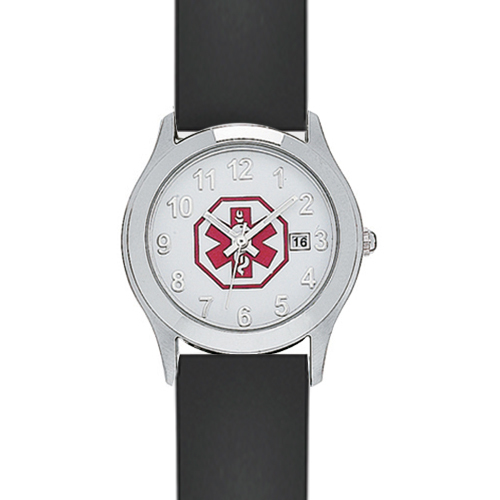 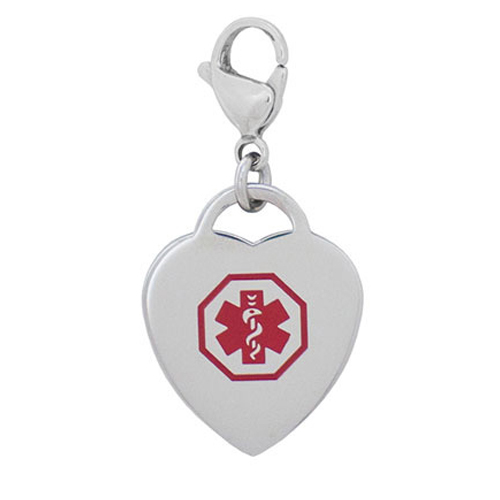 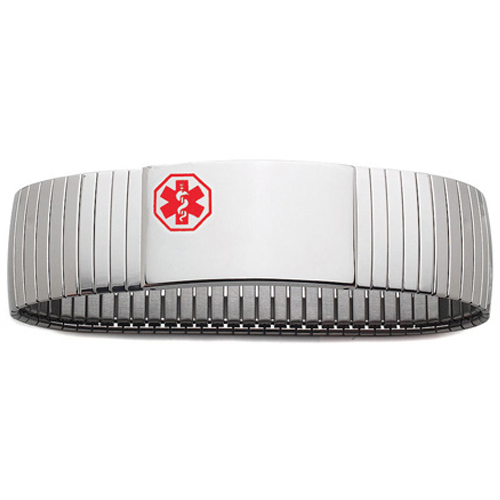 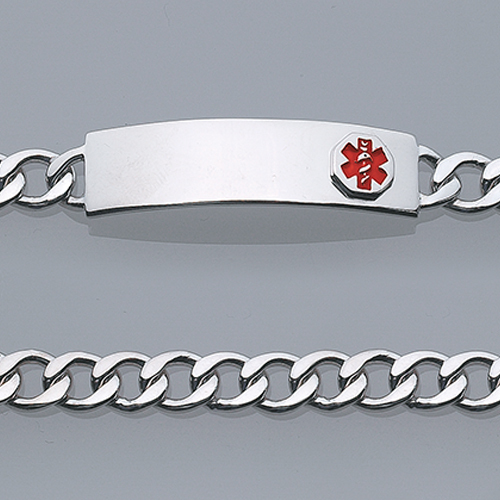 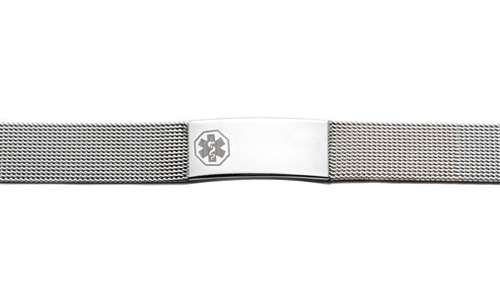 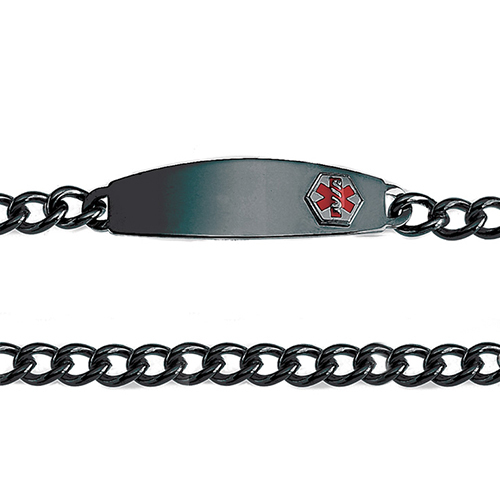 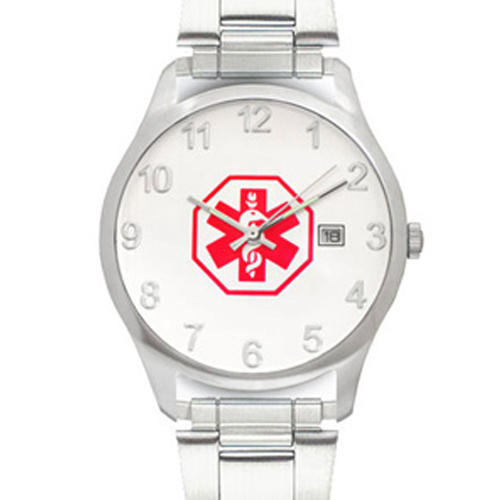 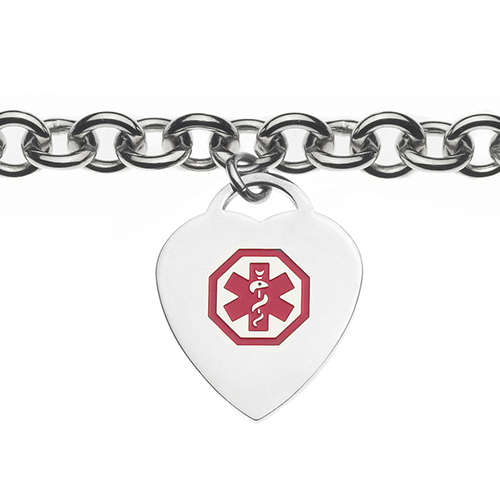 Doc Tock Length: 5 1/2 - 7 1/4"
Plaque Size: 1 1/8" x 7/16"
This stainless steel mesh bracelet comes with a sliding buckle that is adjustable from 5 1/2" - 7 1/4". 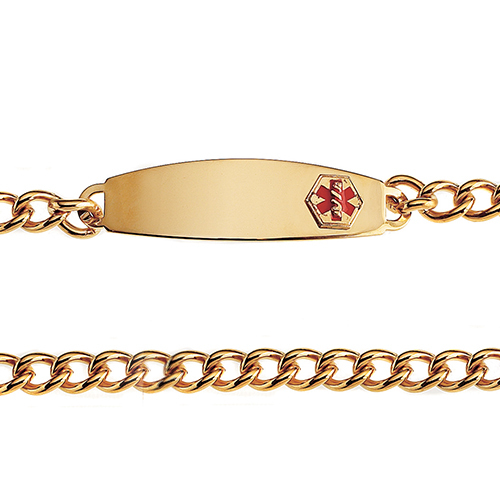 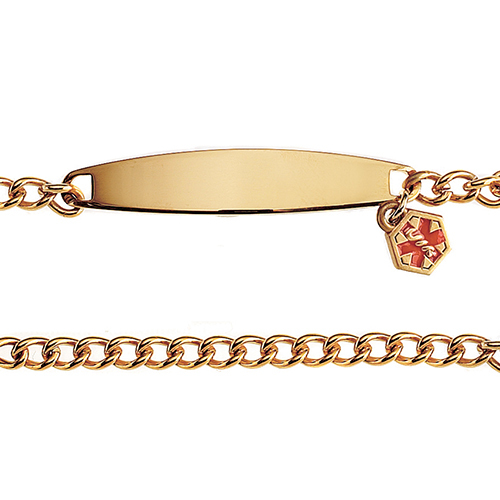 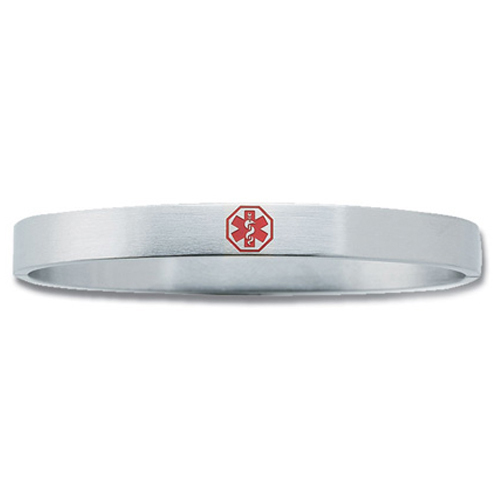 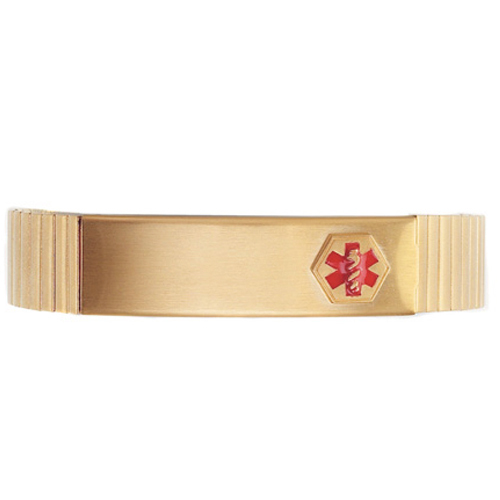 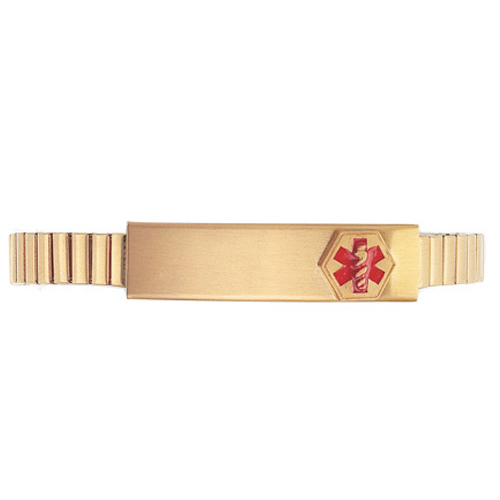 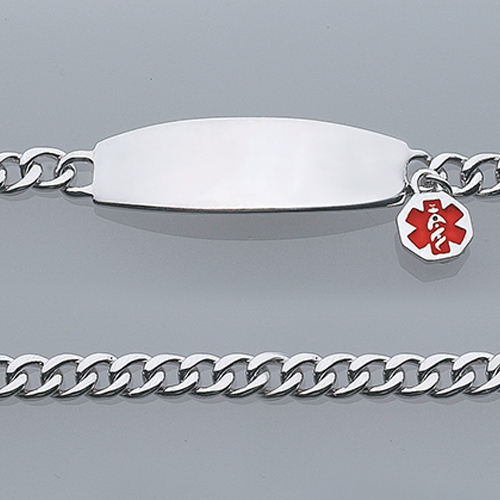 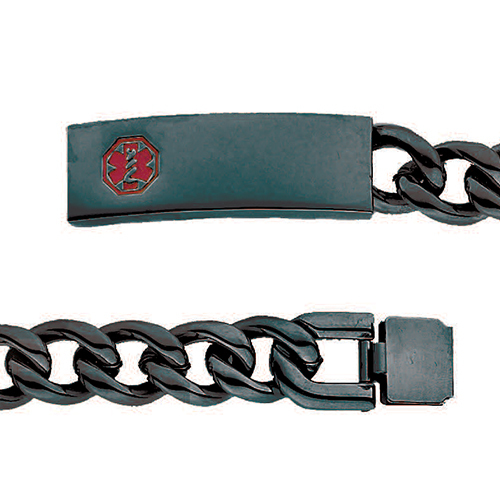 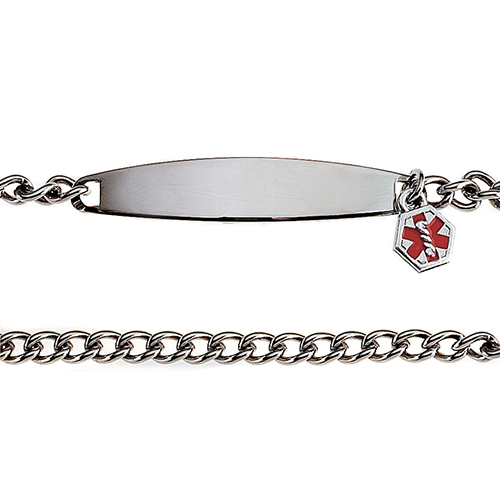 The bracelet has an engravable plaque that is 1 1/8" by 7/16". 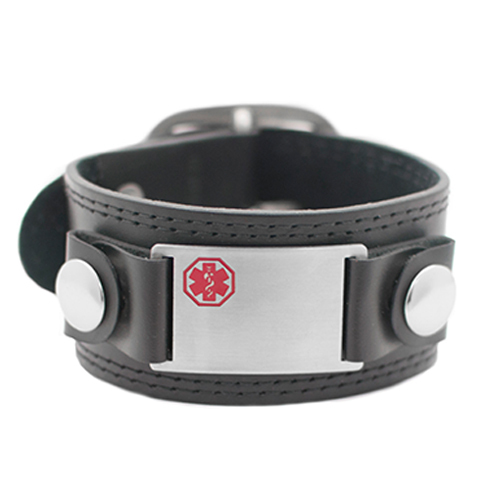 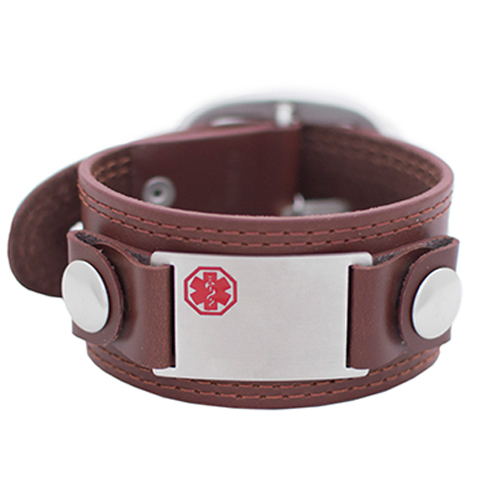 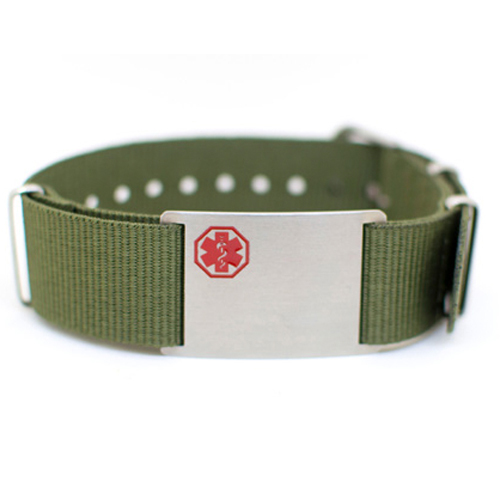 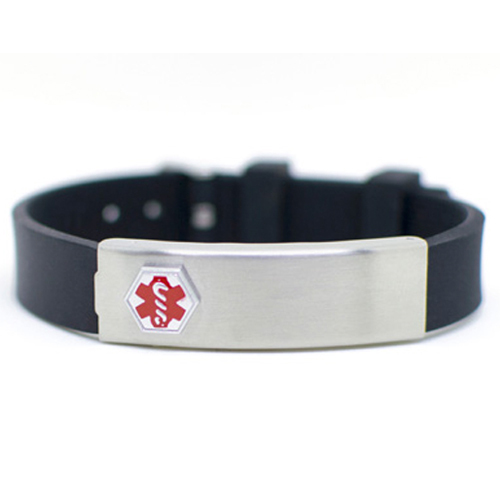 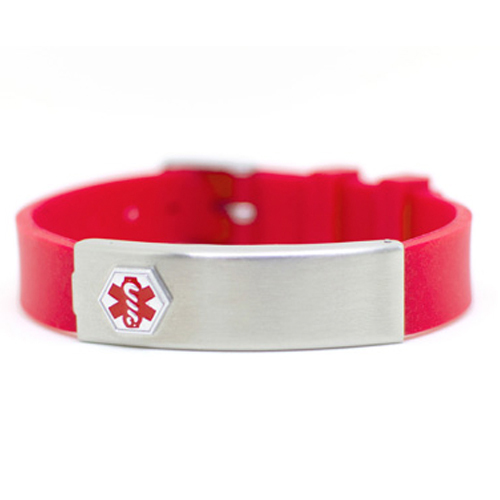 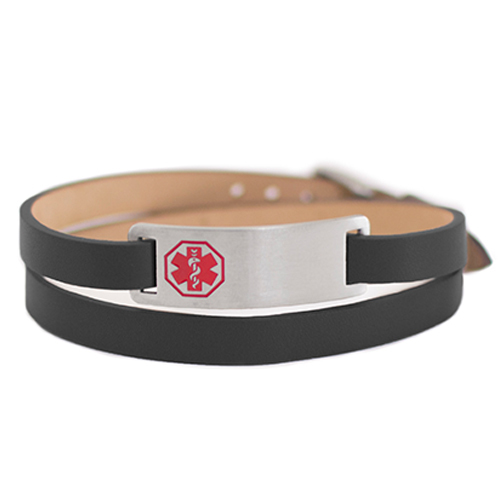 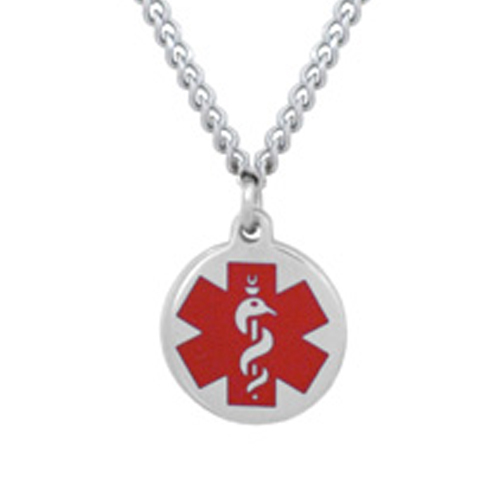 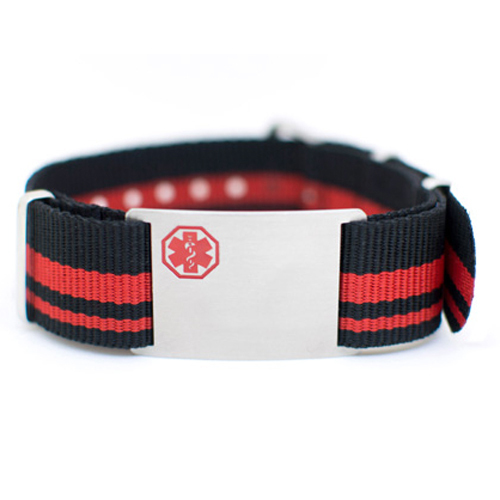 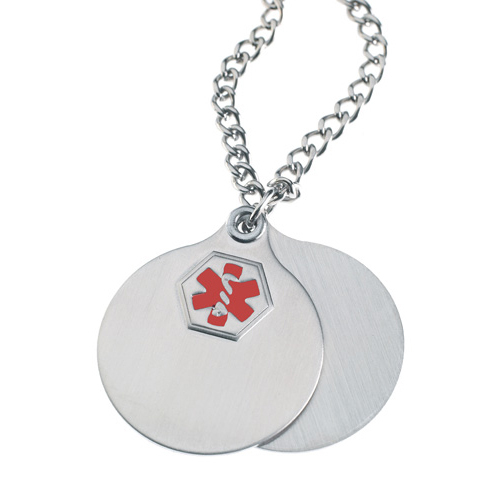 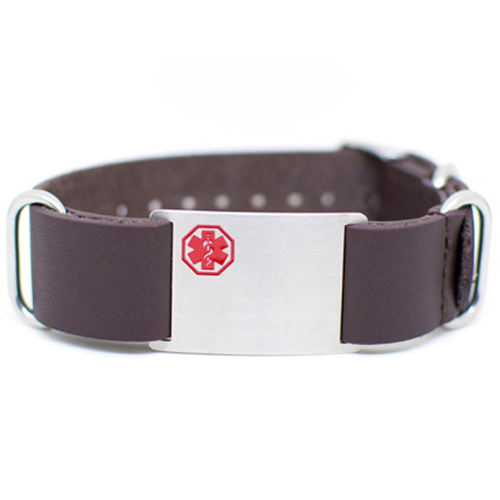 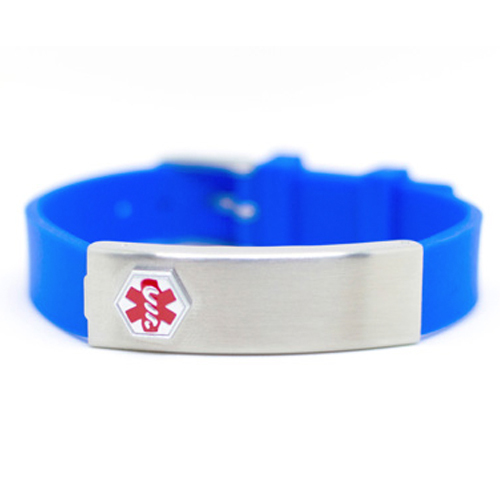 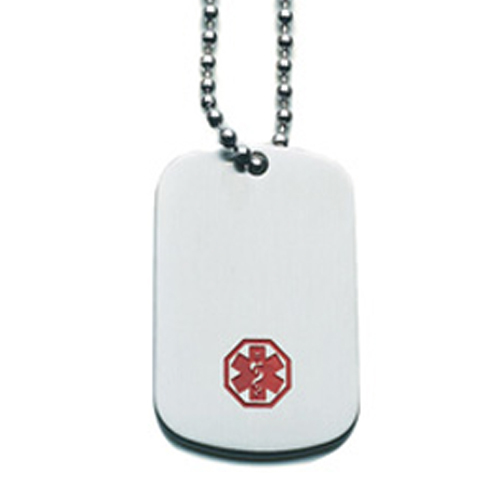 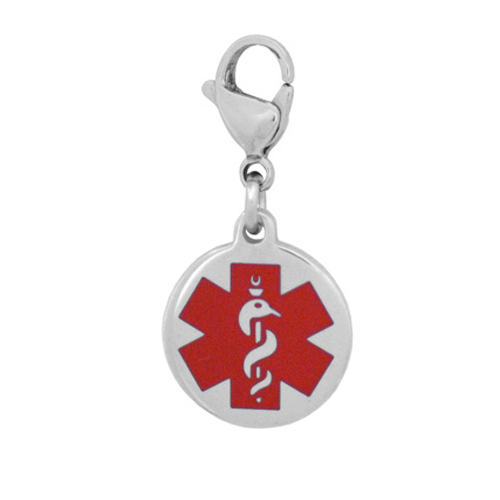 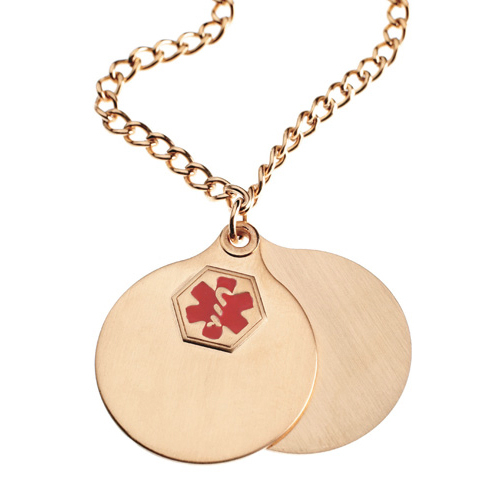 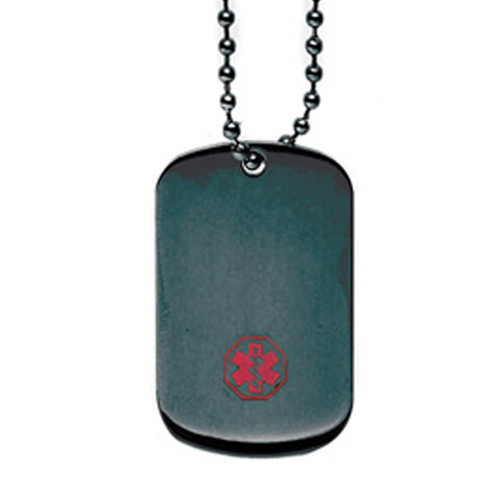 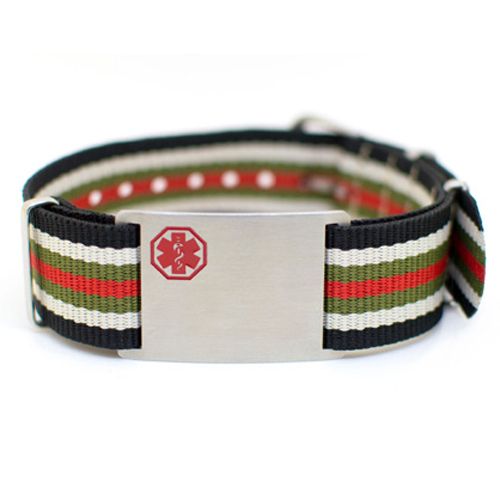 All Doc Tock bracelets come with a medical alert wallet card. 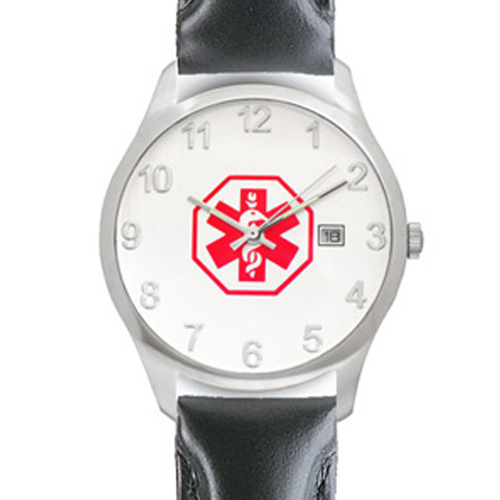 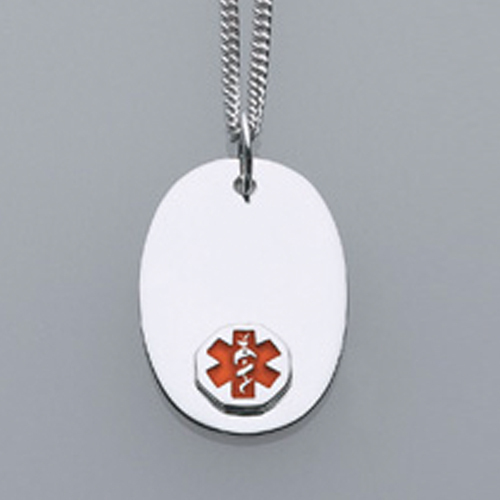 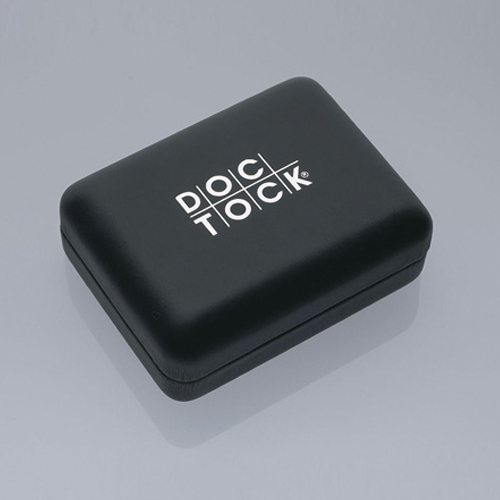 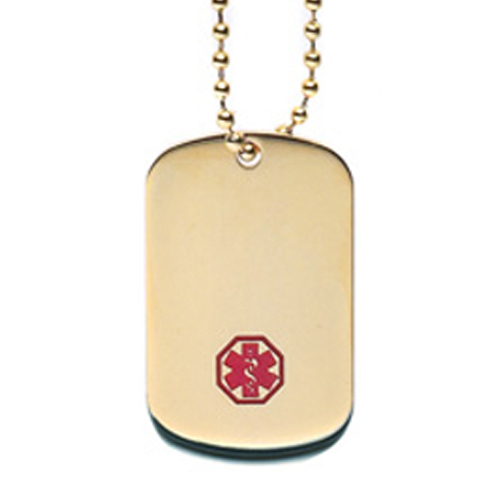 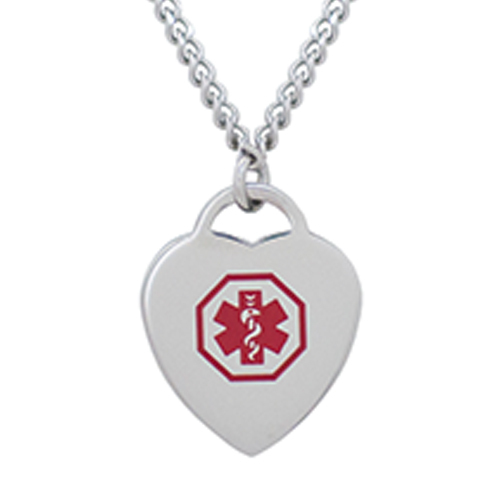 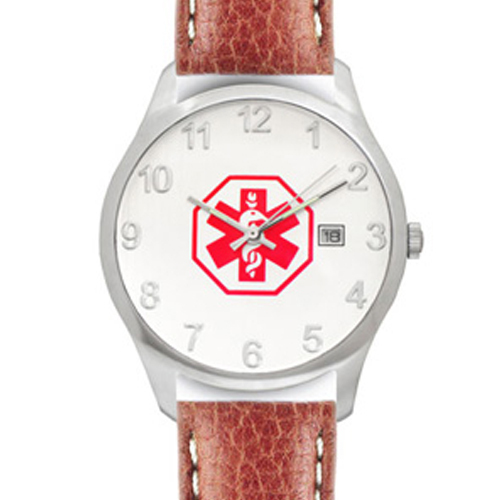 All of our engravable Doc Tock bracelets are hypo allergenic, and this specific piece comes with a special storage box.